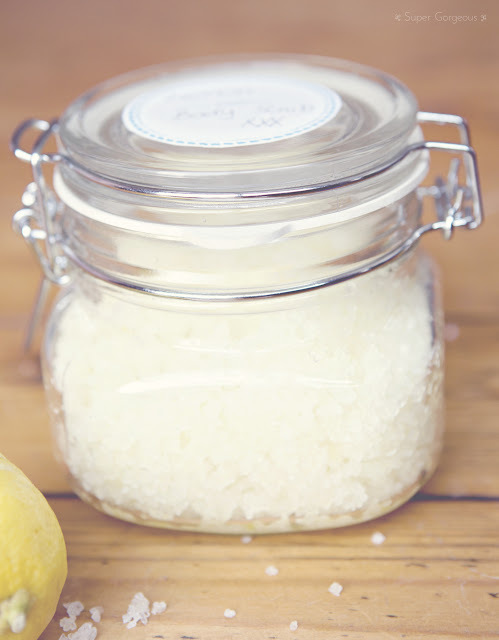 I've been wanting to turn my hand to a bit of kitchen led beauty creation, so when I saw a tutorial on thebeautydepartment on how to make a body scrub, I had to give it a go. I made a tub for my Mum for Mother's Day - it was so simple to do, and I think it will be appreciated as a thoughtful gift. I picked up an empty glass jar from my local hardware store for £2, but I'm pretty sure you can find them cheaper in places like Ikea. If you wanted to make this for yourself and aren't worried about the packaging, you could use an old cleaned out tub of cream. The original recipe states that you'll need lemons, olive oil and sea salt - however I decided to add in some almond oil too. You could add in other things, like essential oils, or dried lavender, if you wanted. I used the quantities from the original recipe to work out how much of everything I would need. I filled my container with sea salt, then spooned it back out into a bowl, to work out how many table spoons of salt my recipe needed to contain, and therefore how to adjust the recipe. 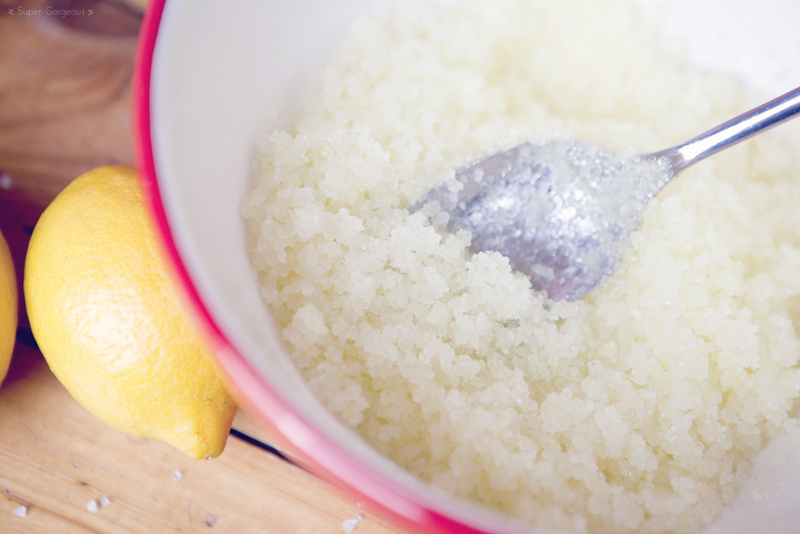 In a large bowl, pour the oil onto the sea salt, then stir it up so it's all combined. 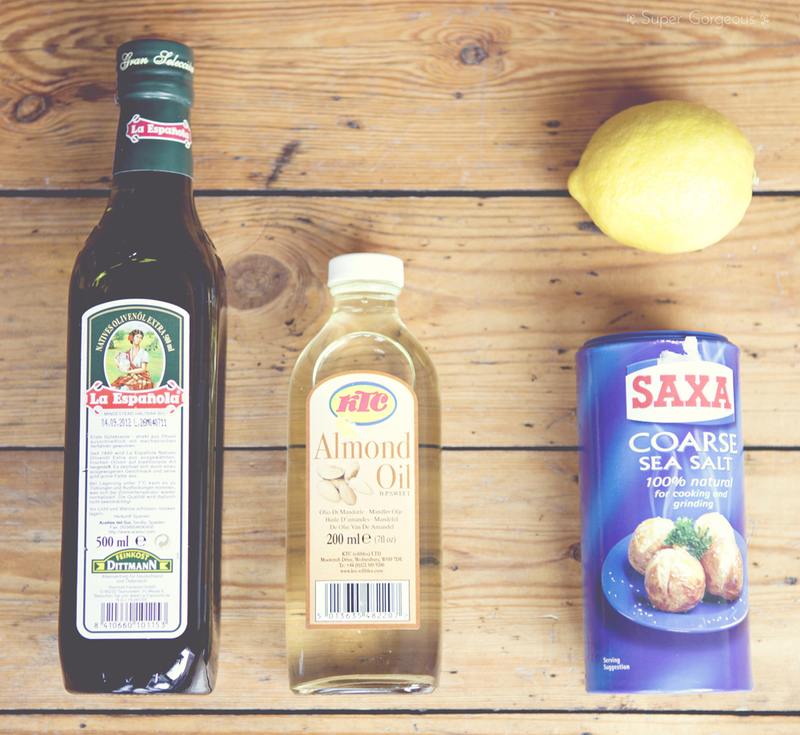 Once the oil and salt are combined it is safe to add the lemon (it would otherwise dissolve the salt). Squeeze in the juice from the lemons, taking care to remove any pips. I then used a grater to add the zest of the lemons for a little extra rusticness and to add some colour. Spoon it back into your jar - and that's that! I downloaded some printable labels (link HERE) which I printed onto sticker-paper, cut out, and stuck to the jar, labelling what was inside. I tried some of it out to wash my hands with, and it leaves them smelling so gorgeous, and with a slight oil sheen - I can imagine it's going to be amazing on the body, I may have to make extra for myself! Give it a go - it's so easy! Please let me know if you do, and what you add to your creation. Happy scrubbing! This sounds great!!! Can't wait to give it a try. this looks amazing going to try and do this thi weekend thanks! Clever idea. Great post. Love making things such a money saver!! nice, this looks really simple to make!! love it!! So easy, I have to try it! Love this, it looks lovely. It looks like something you wouldn't sniff at paying £15+ on in a shop! Will definitely be making this. Thanks for the post. The jar you used looks so cute :) Definitely going to try this out at some point soon. Thank you for the tip about lemons dissolving the salt, never would have though about that.